Chances are, you've never thought about the fact that the federal legalization of abortion and the federal recognition of Father's Day occurred within nine months of each other—on the ill-fated watch of President Richard Nixon. I certainly hadn't marked the connection, until setting out to examine the relationship between abortion and single motherhood. I now see a sad irony in the proximity these two events share on our historic timeline. In 1970, two years before Father's Day was finally given formal recognition, less than 12% of American families with minor children were helmed by single mothers. Today, that number has risen to 26%. And since more than 40% of American babies are currently born to unwed mothers, the percentage of single-mother households is likely to keep going up. But why is that? Have you ever stopped to think about abortion's relationship to single motherhood? Economists Steven Levitt and Stephen Dubner certainly have. Back in 2009, Levitt and Dubner published the surprise bestseller, Freakonomics—which contained a chapter on America's declining crime rate. The authors contend that the reduction in crime that began around 1990 doesn't owe to better policing or a better economy. It owes to better abortion access. Starting in 1973, they argue, abortion began preemptively eliminating future crime by reducing the number of mouths to feed and eliminating children with the highest propensity to become criminals—specifically those born to young, single mothers. 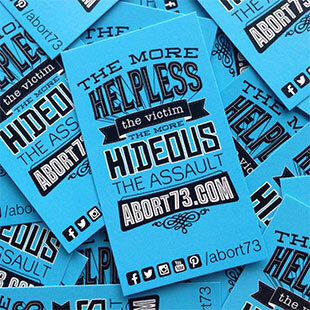 Despite the sinister eugenic underpinnings of such thinking—and the barbarity of killing children in the womb for crimes they might commit as adults, abortion advocates have embraced the purported crime-reduction hypothesis and made it part of the cultural narrative. There are all sorts of problems with the conclusions drawn out by Levitt and Dubner, but I'm going to focus on just one.